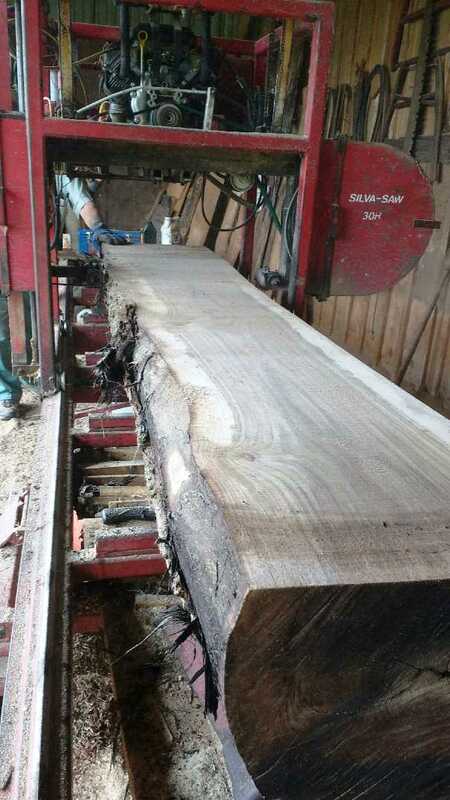 Harvest Tables built from 100 year old salvaged planks or Cutting Boards fashioned from local live edge, salvaged lumber are being produced in his Maitland Ontario shop. 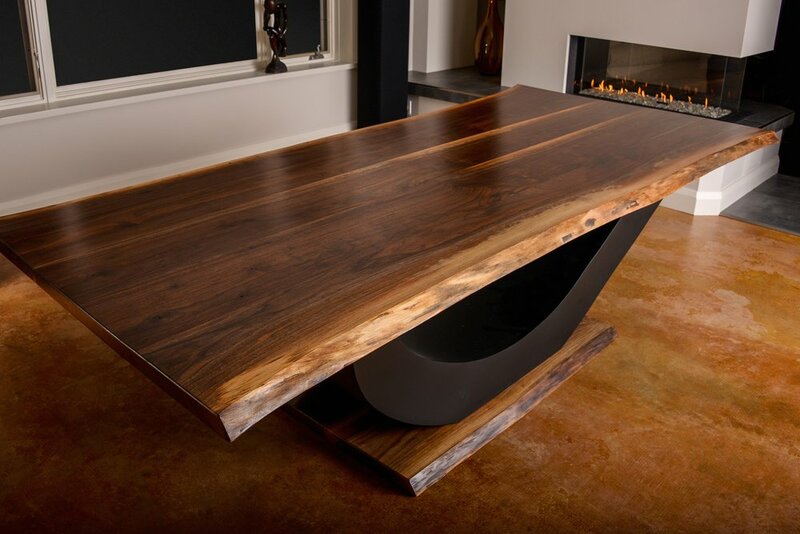 Select one of Greg’s “standard” live edge furniture pieces or collaborate with Greg on a custom one of a kind design. He serves the Ottawa – Kingston – Brockville area and can be seen at the Brockville Farmers Market on most Saturdays throughout the market season. Contact Greg today to purchase one of his in-stock items or to have him create your next beautiful piece of furniture. 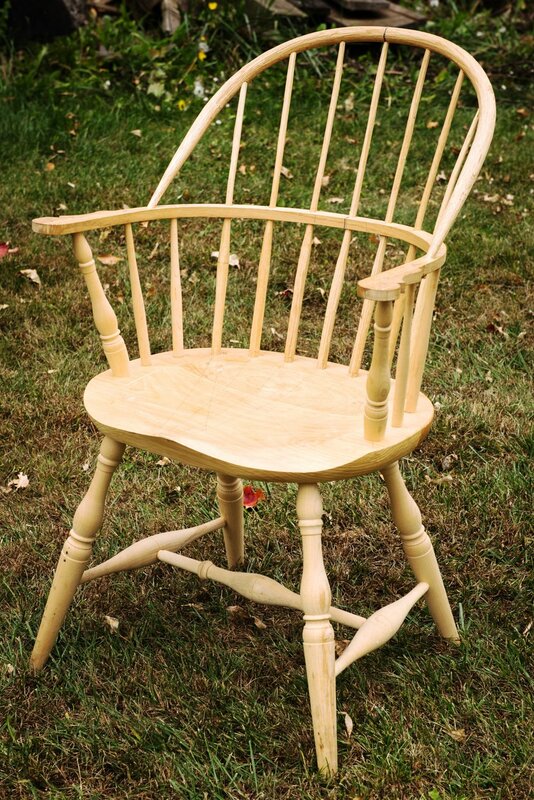 Now offering Windsor Chair making classes! Week long, in-shop classes with one on one instruction in Maitland Ontario. E-mail us today for the next available class time. Each piece starts with specially selected lumber. 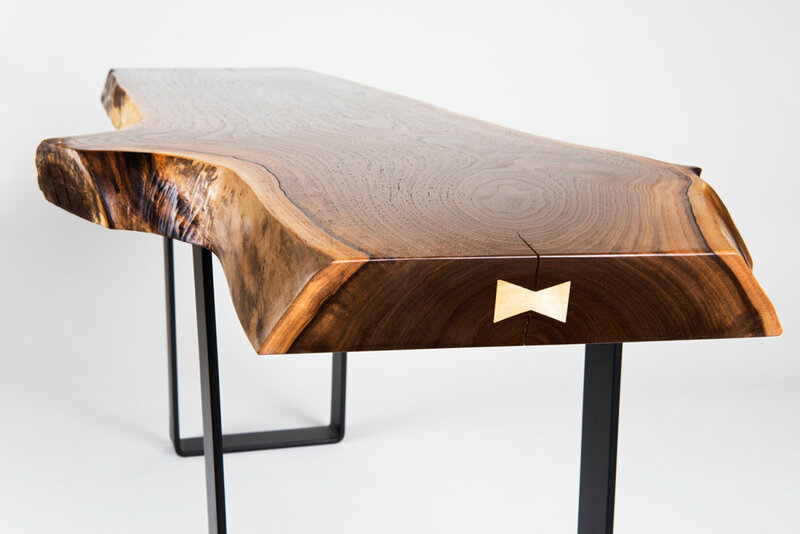 It is then shaped into beautiful furniture using a combination of hand and power tools. By the time the product is completed, it has gone through hours of cutting, shaping, sanding and finishing. 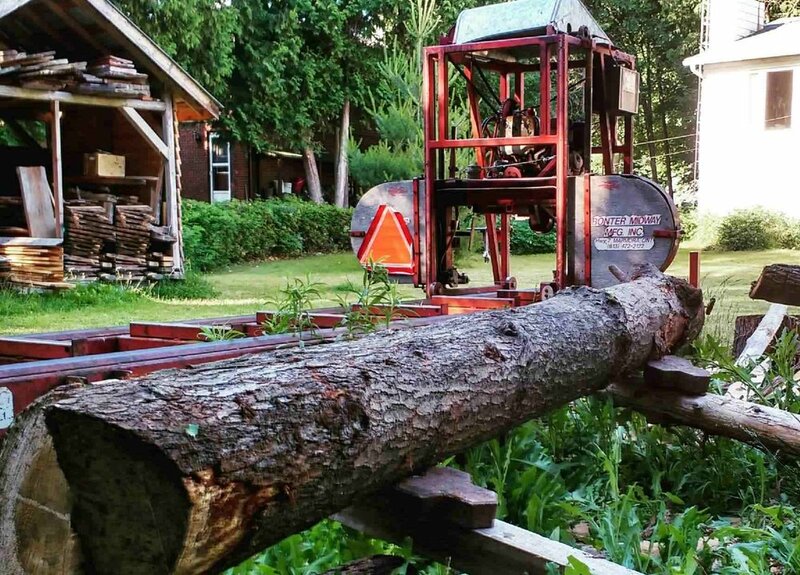 To obtain a reliable source of quality lumber for his furniture, Greg often mills locally grown trees or re-saws reclaimed and salvaged lumber. With a growing inventory of lumber, Greg is now offering lumber sales and custom saw-milling. If you are searching for a beautiful slab for your fireplace mantle or big screen TV shelf, give Greg a call. Lumber sales are also available to local woodworkers. Come take a look at the selection of hard and softwood lumber, live edge and slab lumber for your next project. Greg Aultman Furniture is based in Maitland, Ontario and began in the garage of our family home. After the birth of our second child, I decided to become a stay-at-home dad and learn to build good quality, attractive furniture. This is what I strive to provide for my customers today. Aultman Furniture is now in its seventh year of providing quality custom furniture for clients in the Brockville, Ottawa and Kingston area.